Sign up here for the latest newsletters, updates, articles and videos from CPAP America! These notifications will help us keep you up to date on the latest information regarding sleep apnea relief, education, CPAP equipment, and Home Sleep Testing. 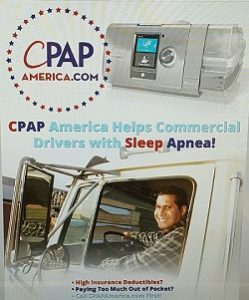 If you are a Commercial Driver, make sure you ask for our free guide that helps educate truckers with sleep apnea.